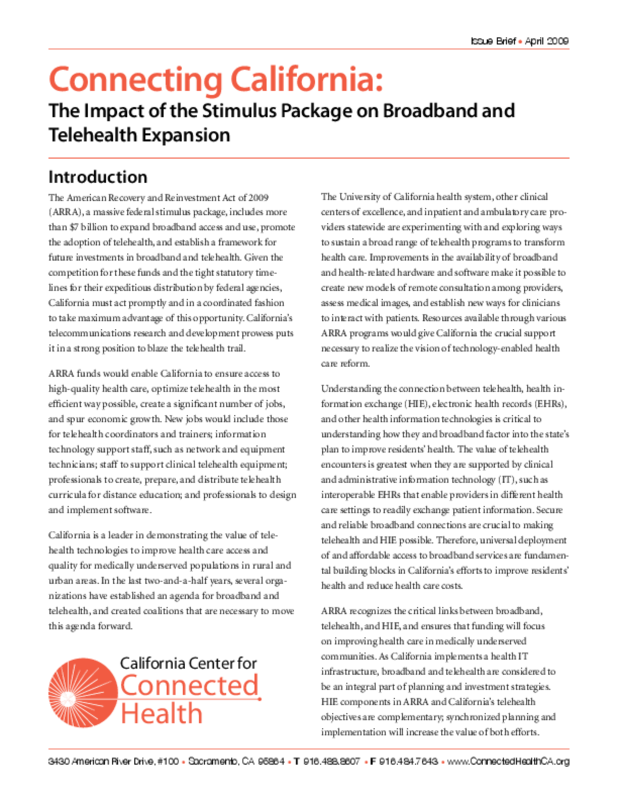 Outlines California's leadership in expanding broadband, telehealth, and health information technologies. Summarizes relevant provisions in the 2009 stimulus package and makes recommendations for the state, agencies, and HIT leaders to maximize funding. Copyright 2009 California Center for Connected Health.